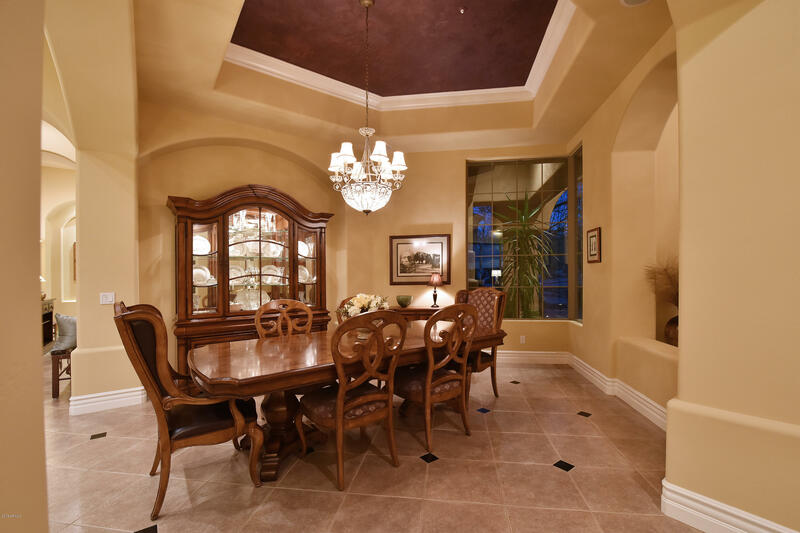 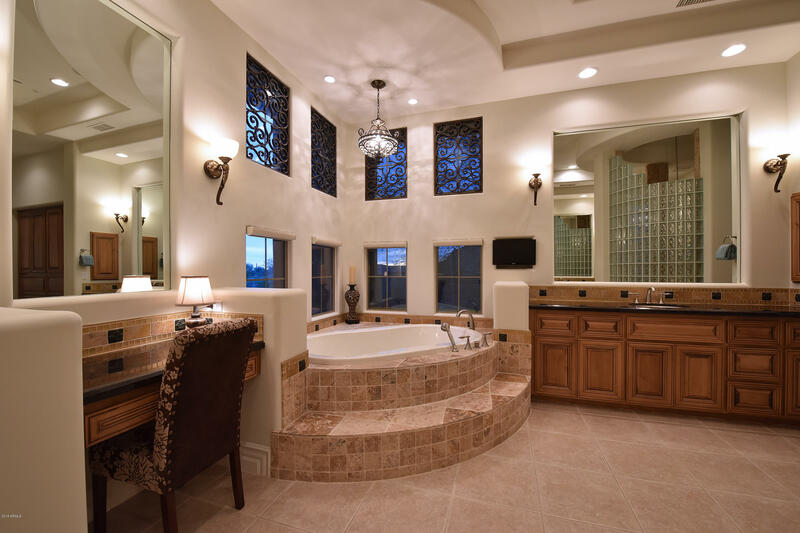 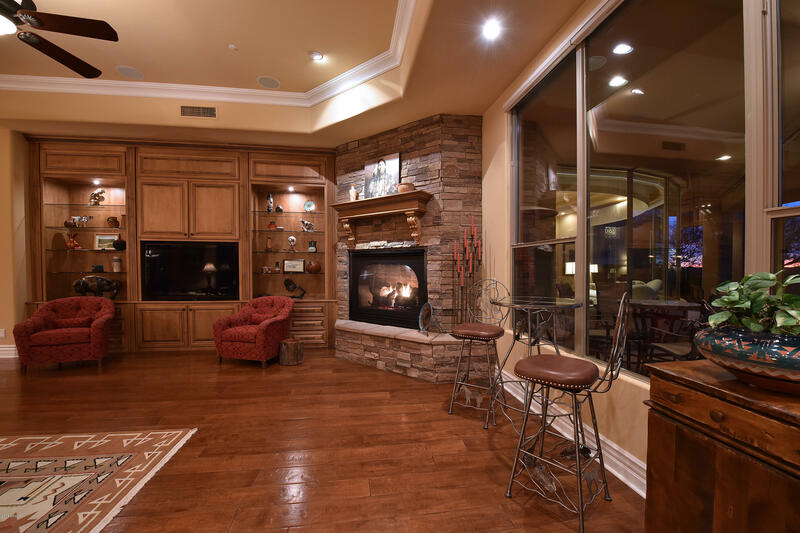 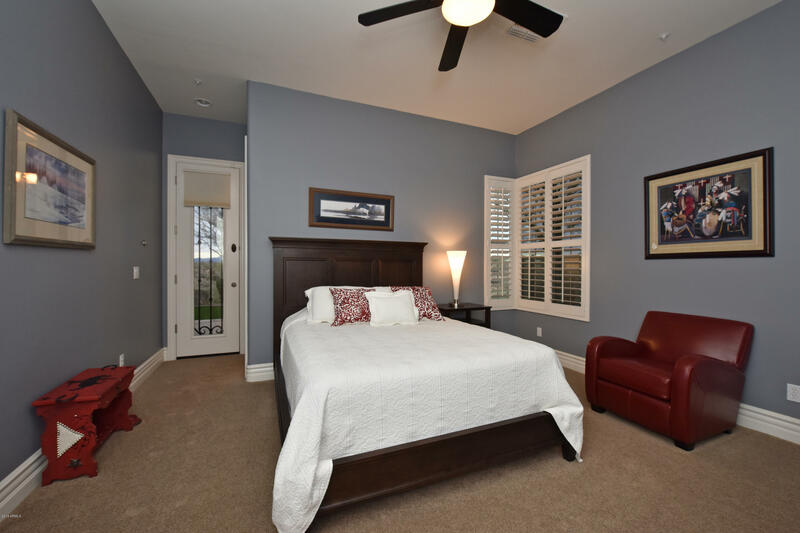 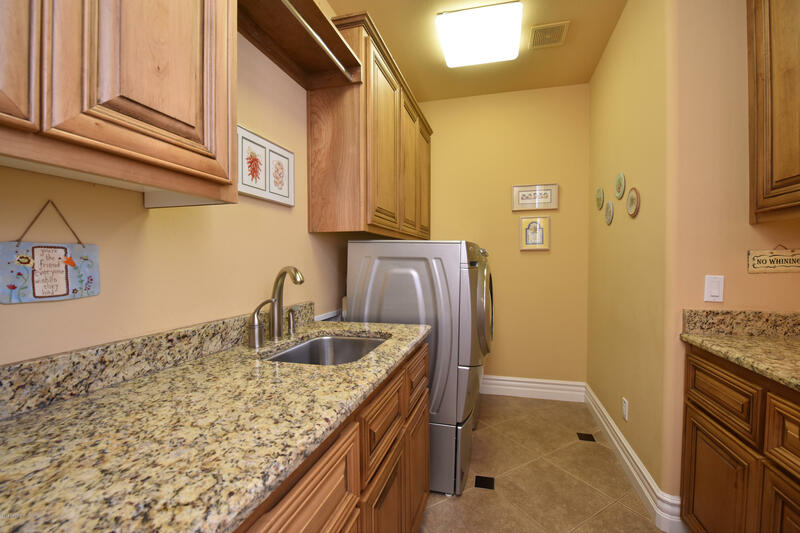 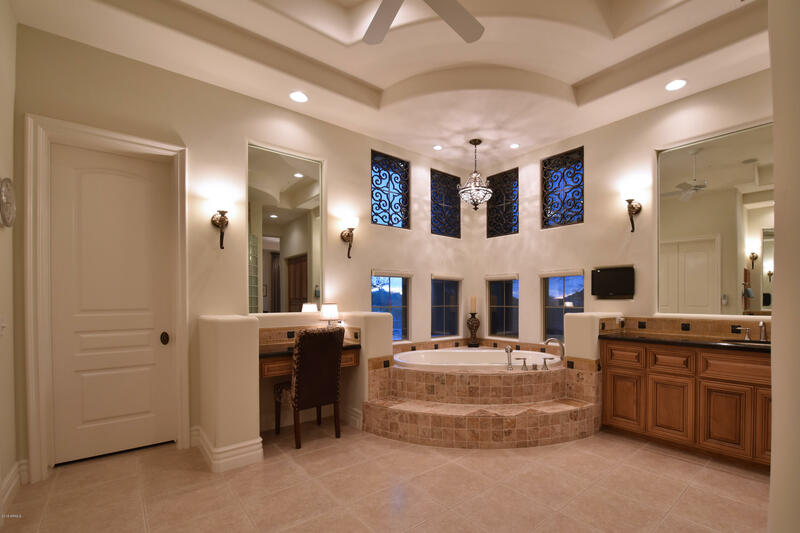 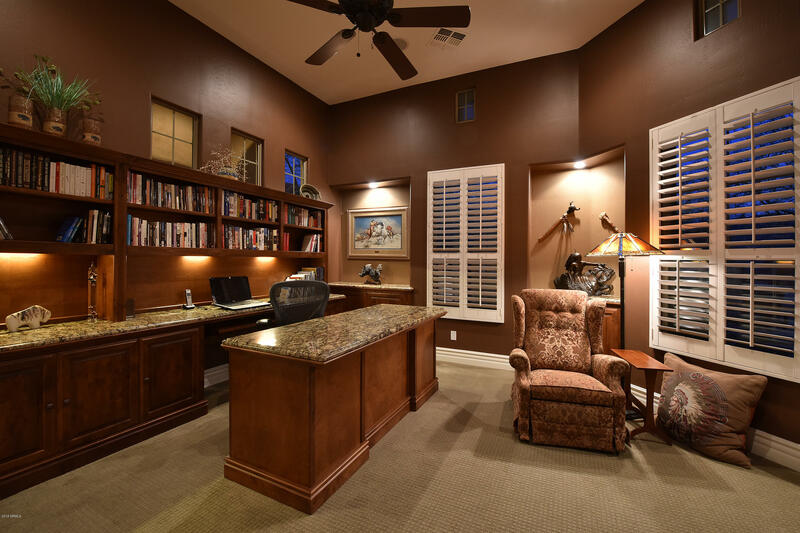 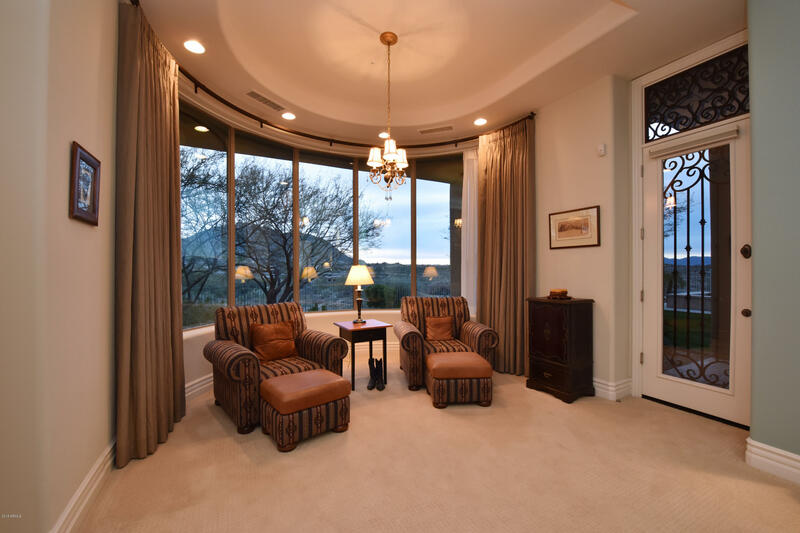 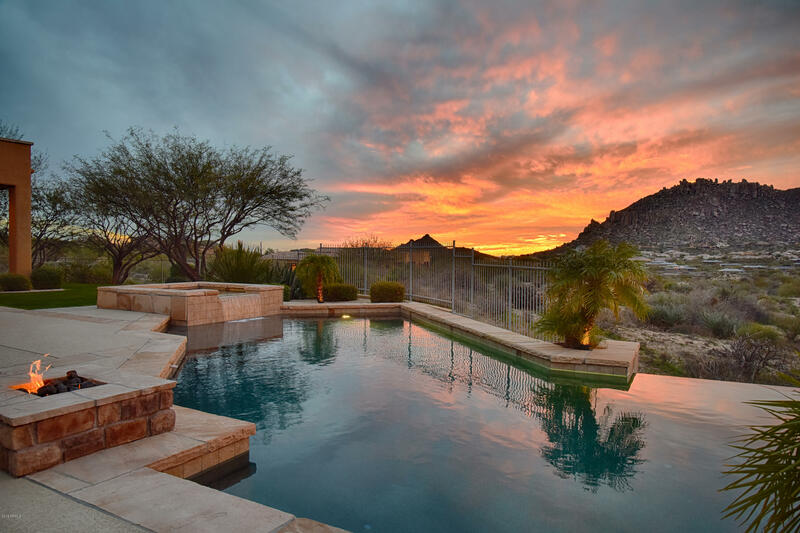 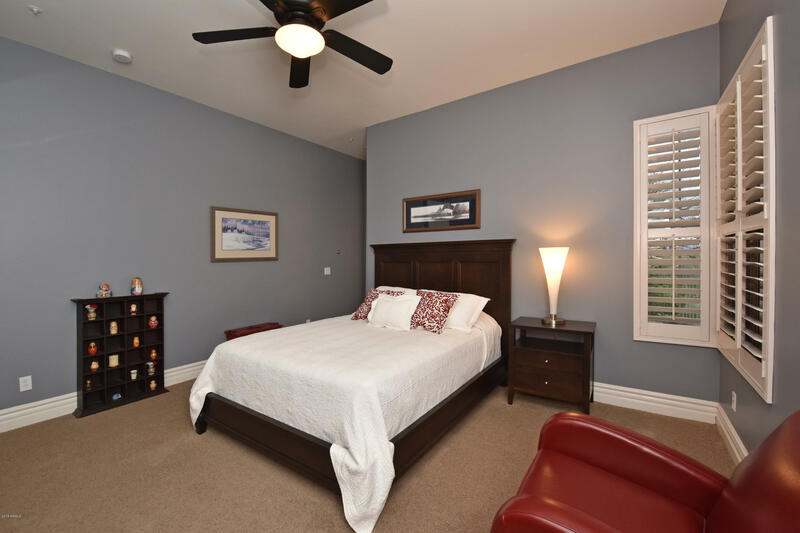 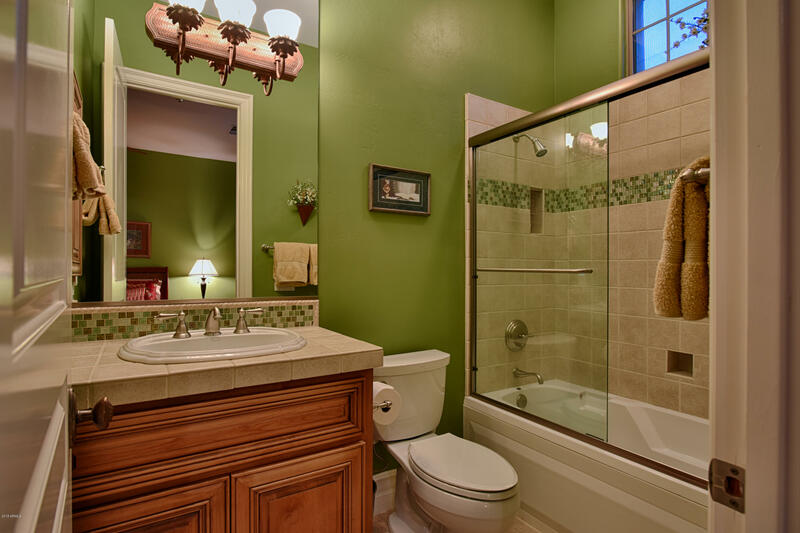 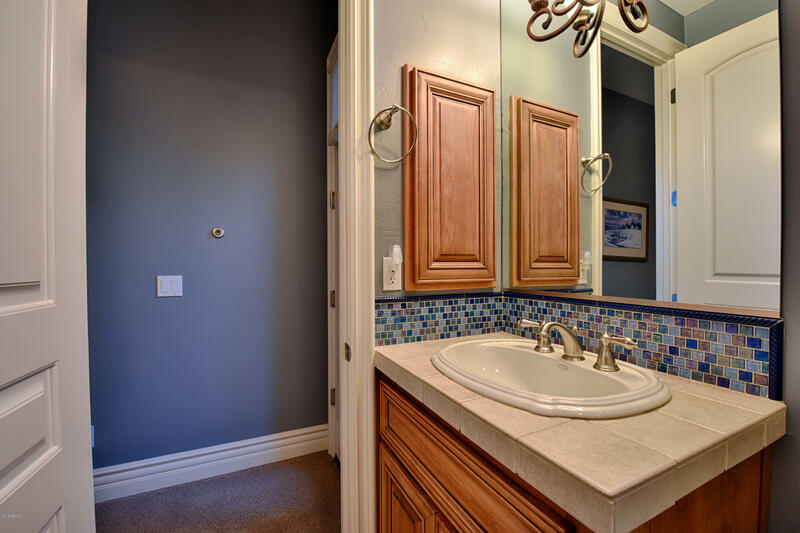 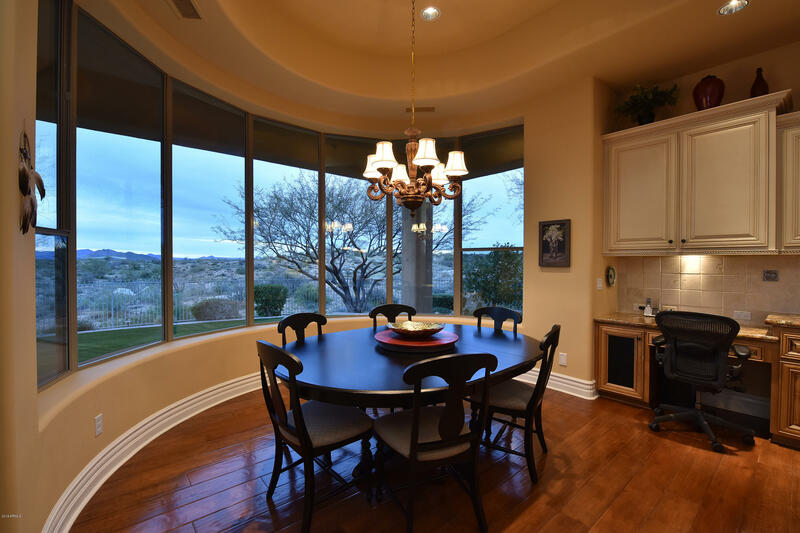 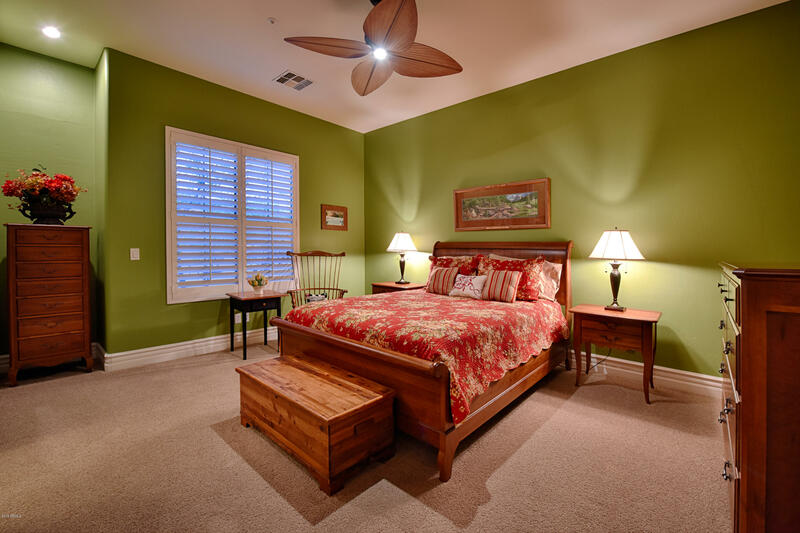 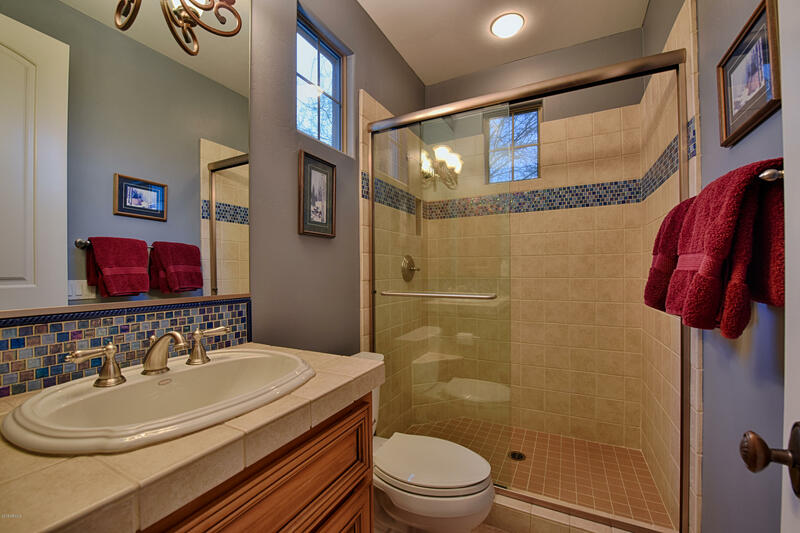 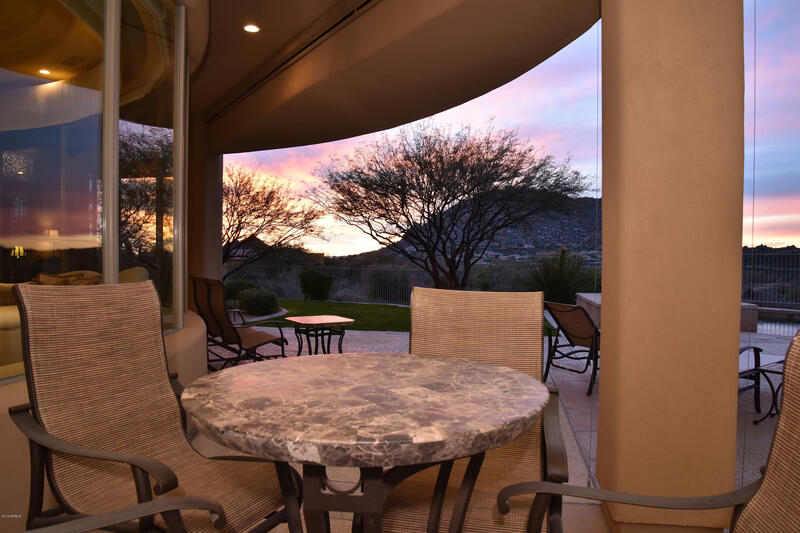 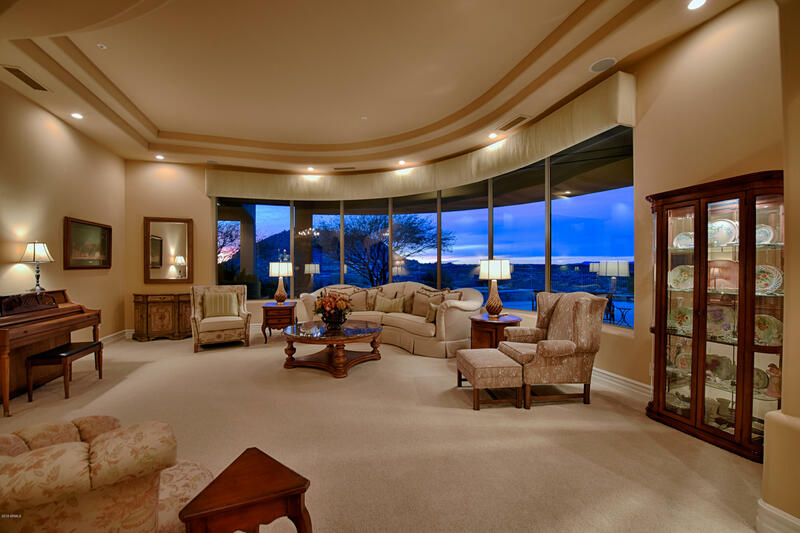 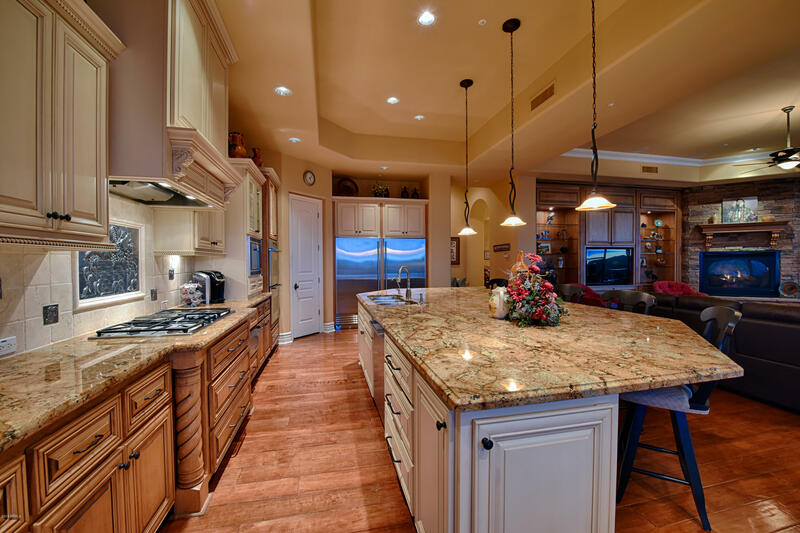 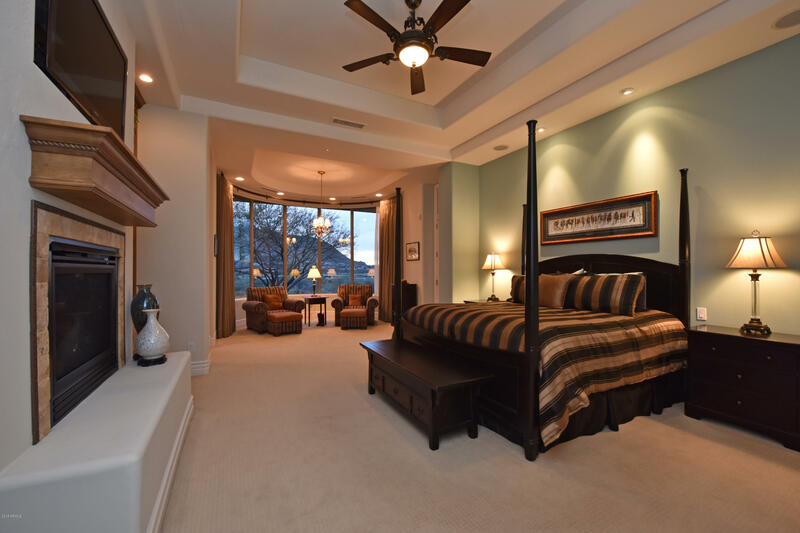 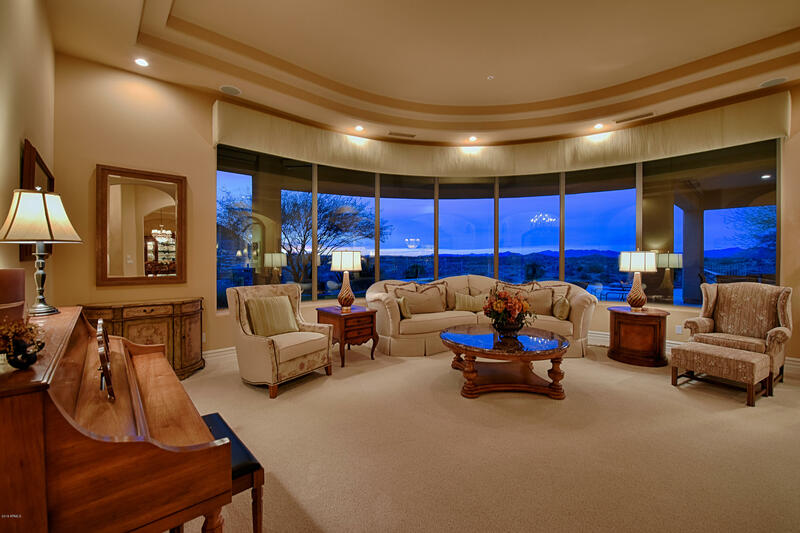 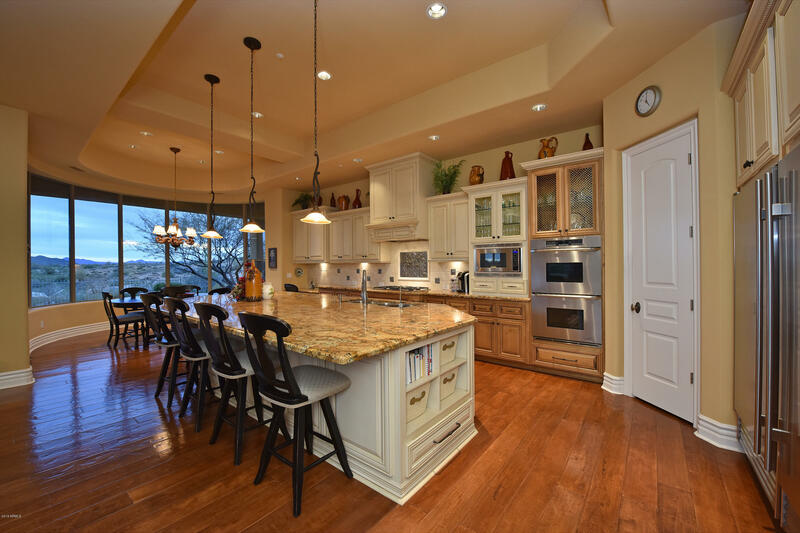 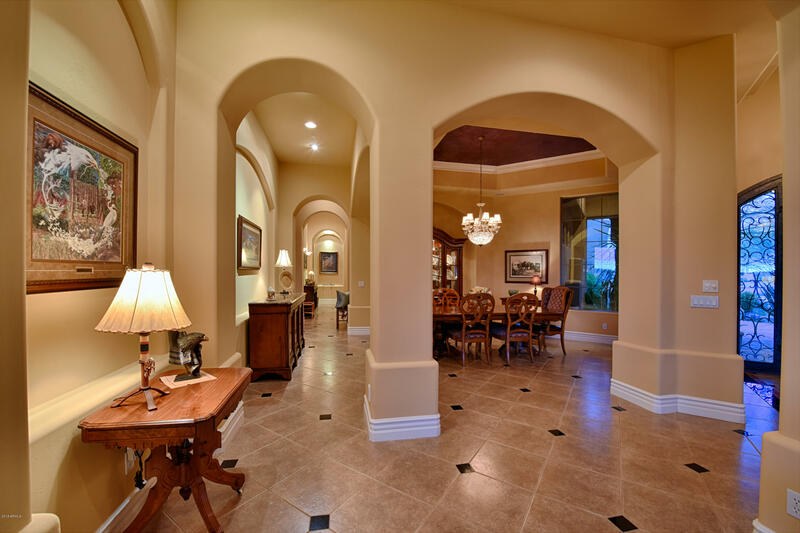 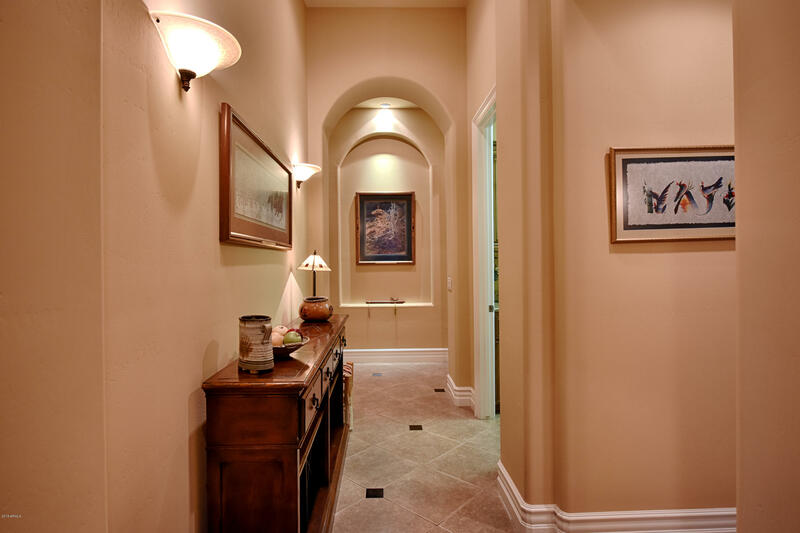 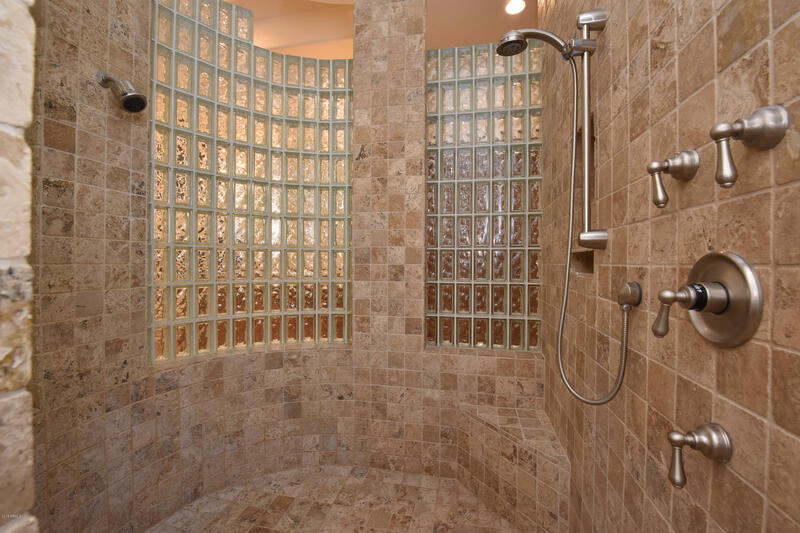 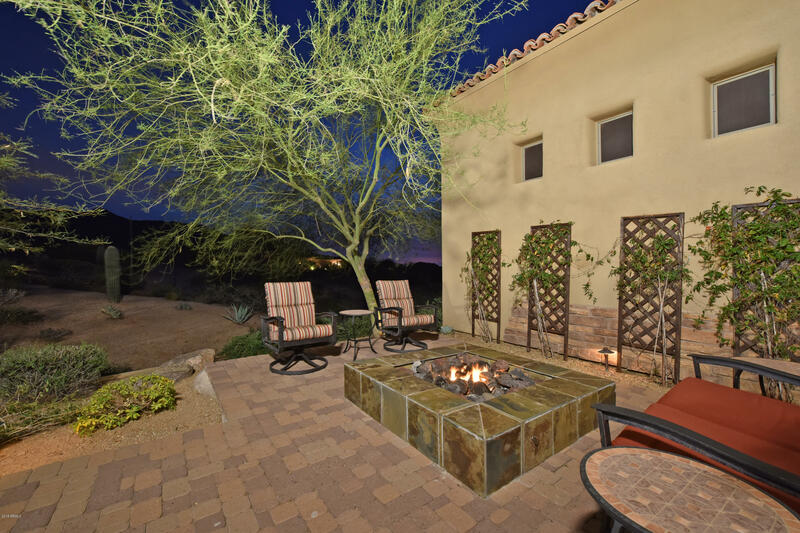 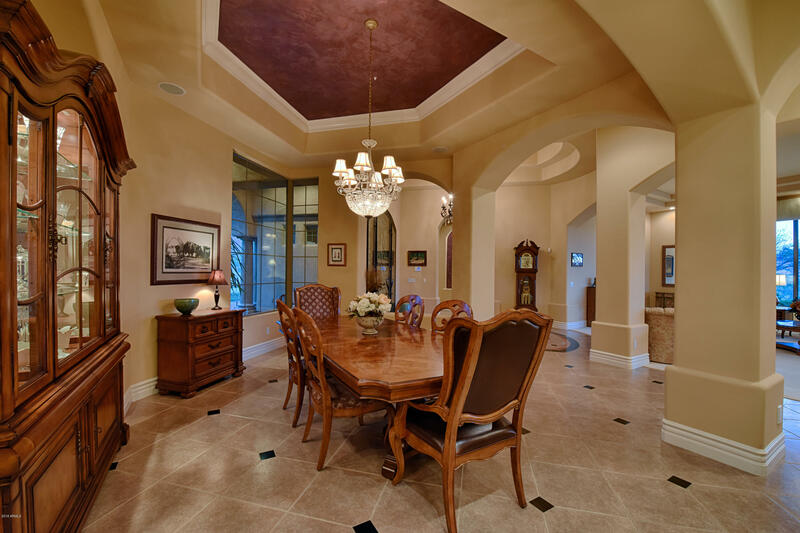 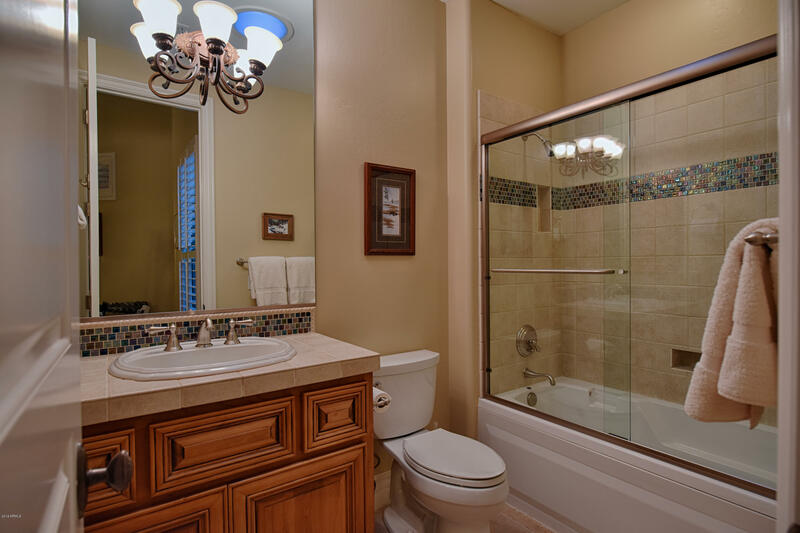 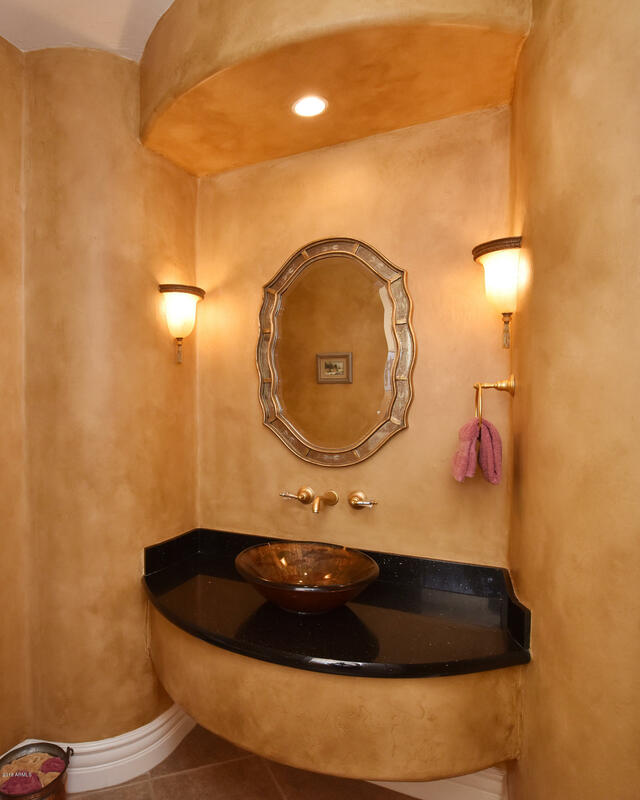 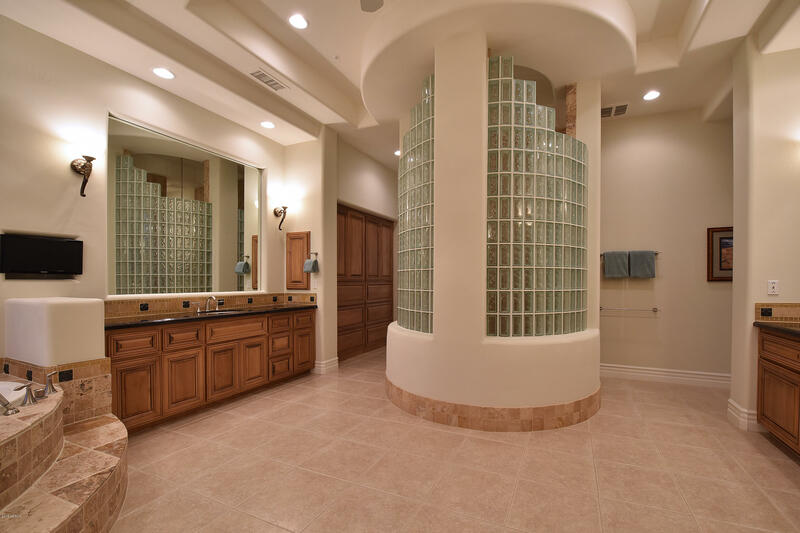 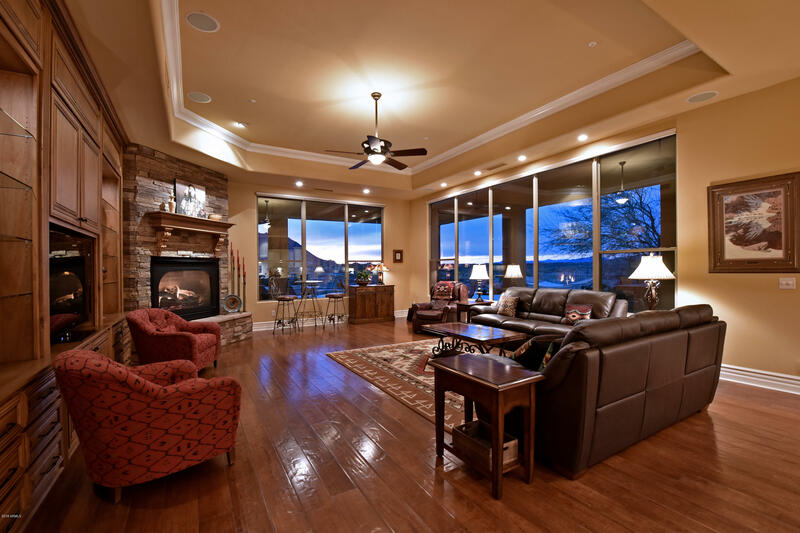 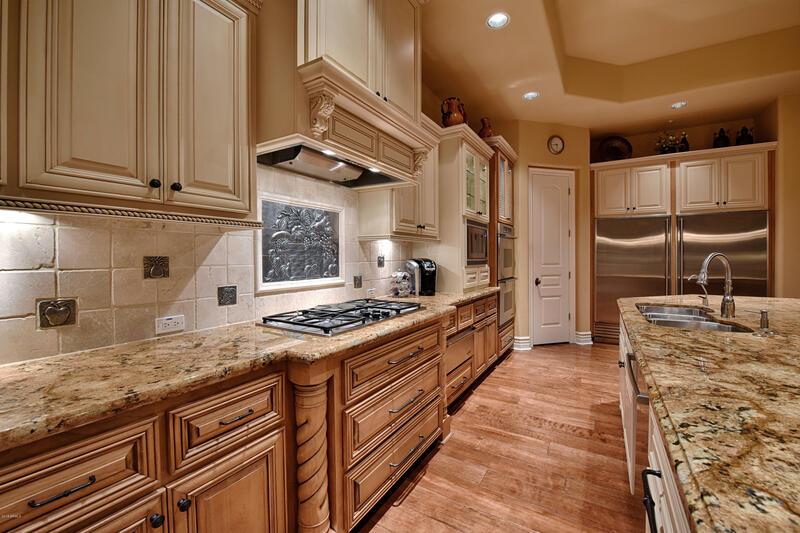 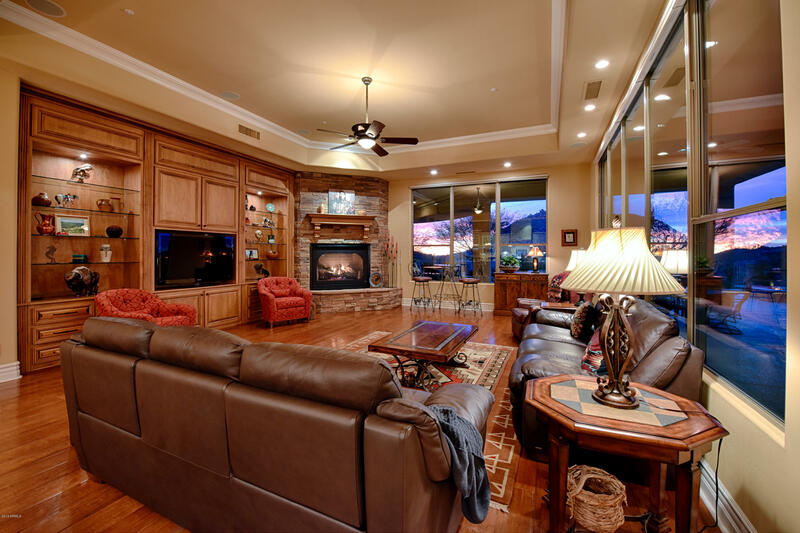 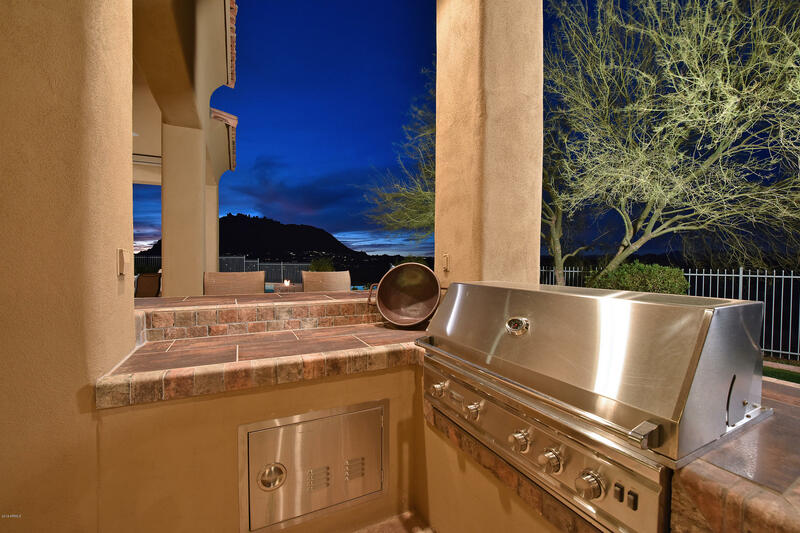 Beautiful custom home in gated Sonoran Crest showcases wonderful appointments and details. 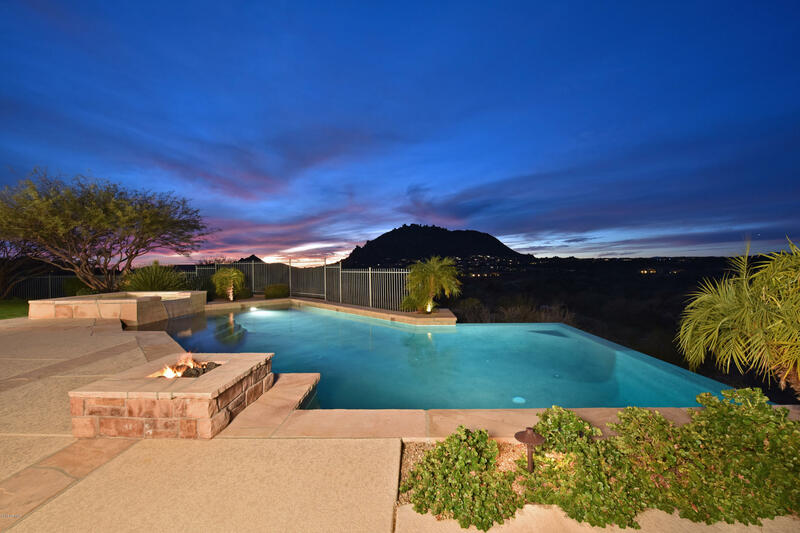 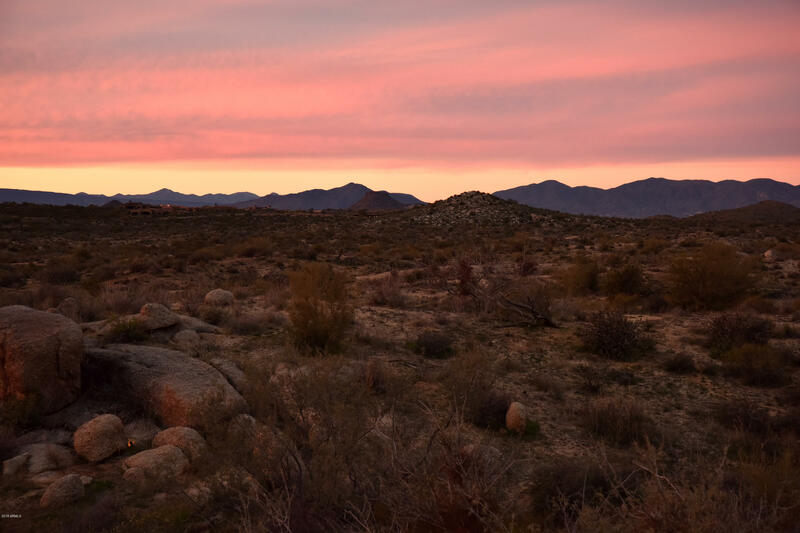 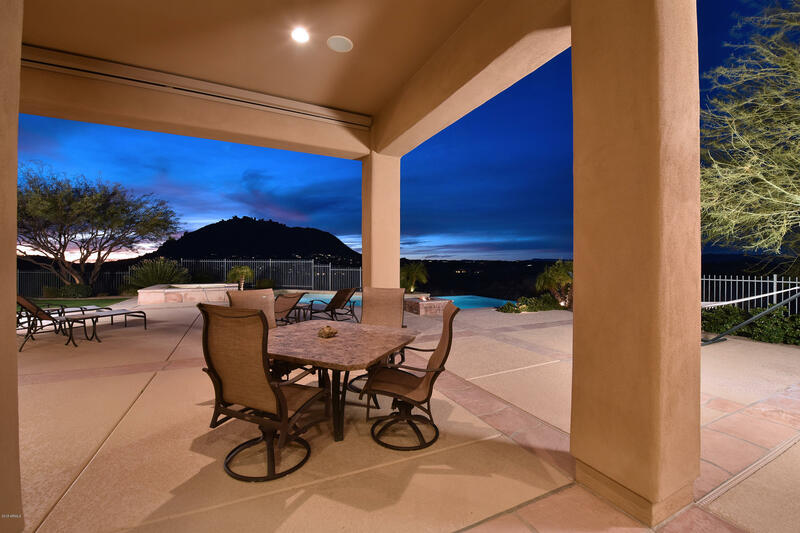 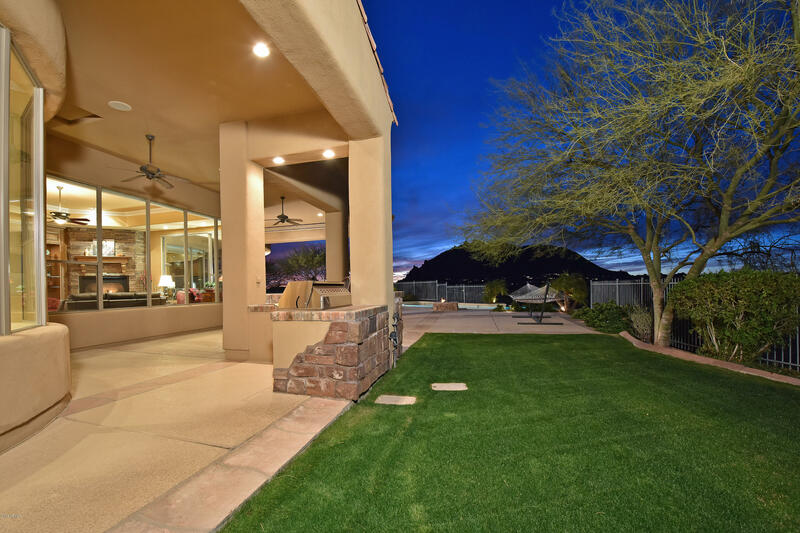 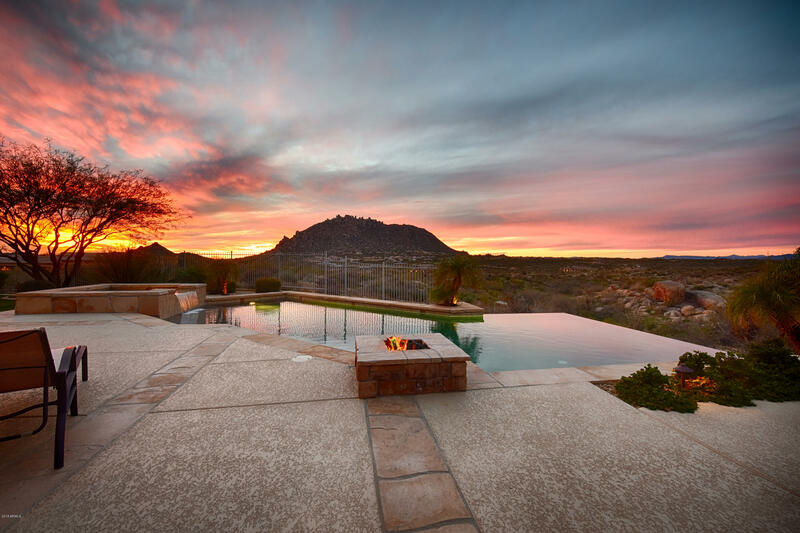 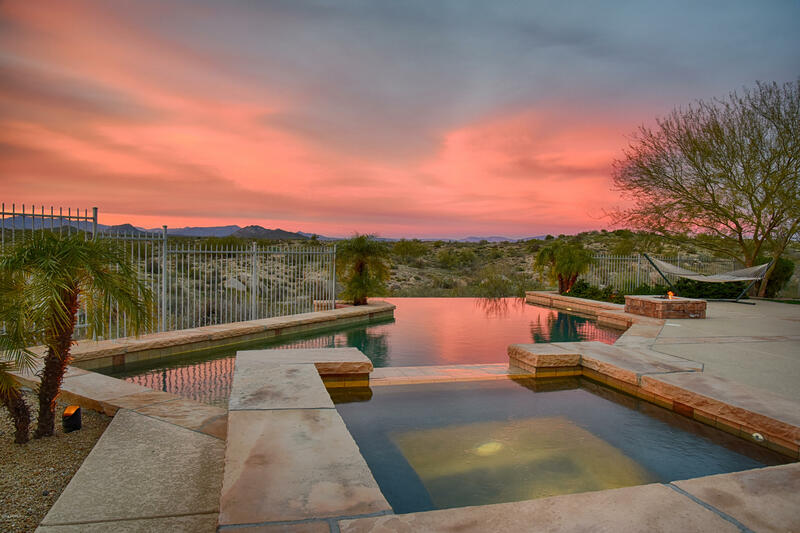 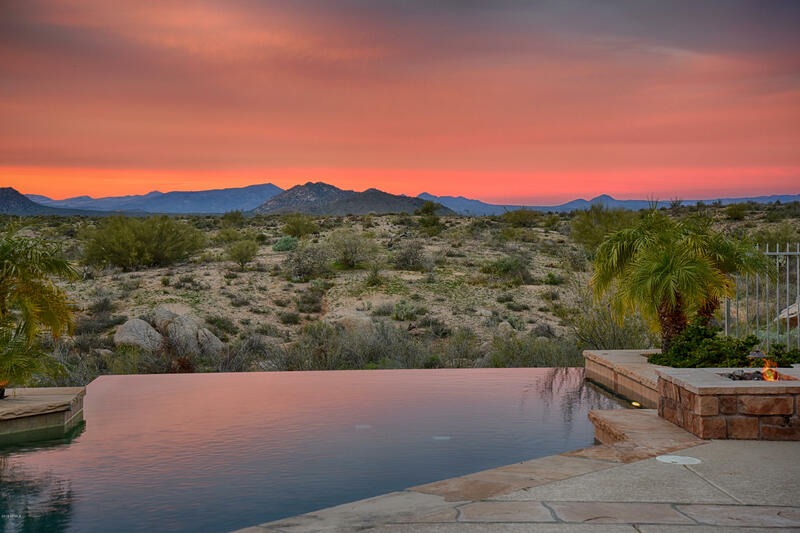 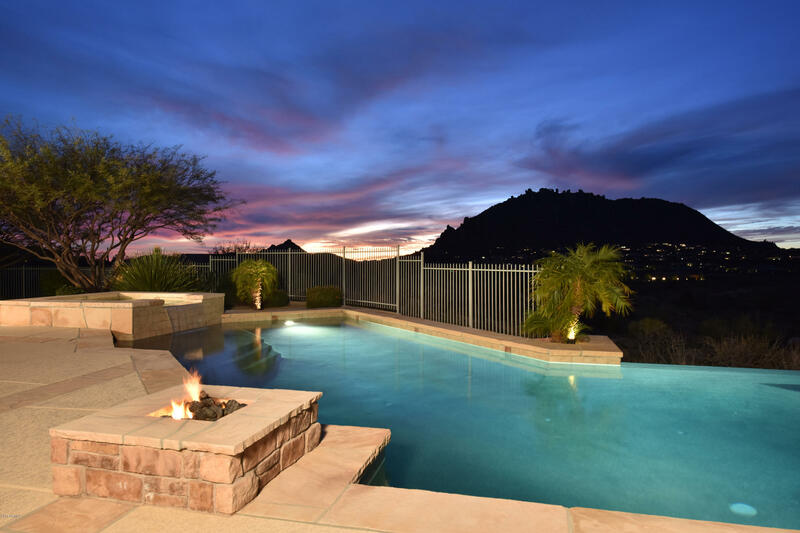 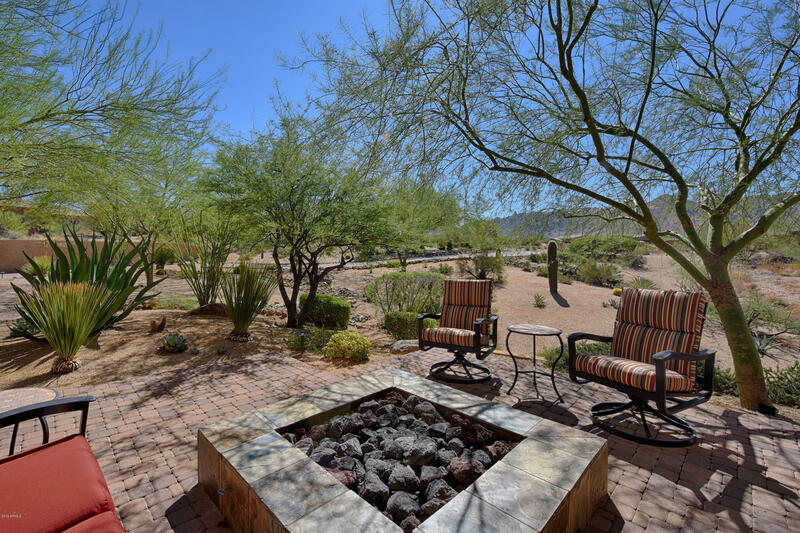 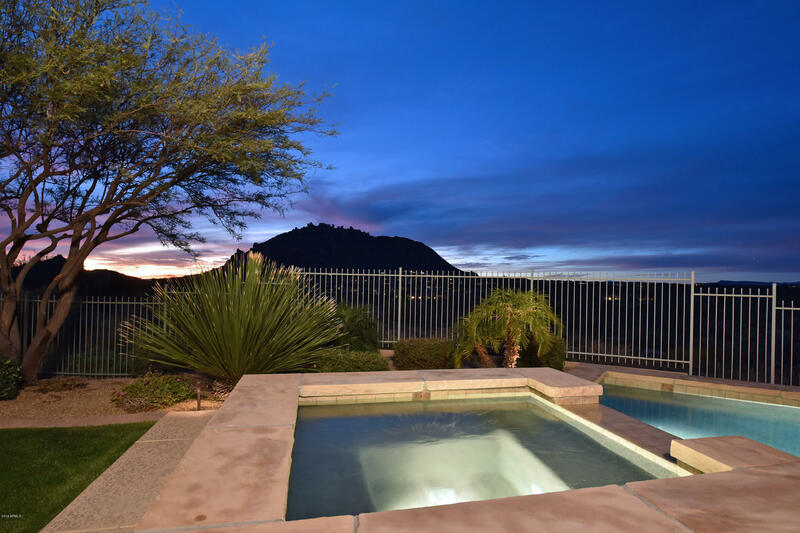 Located on an elevated 2.1-acre lot with exceptional, sweeping views of Troon Mountain and the McDowell Mountains and tucked away in a cul-de-sac for a private setting. 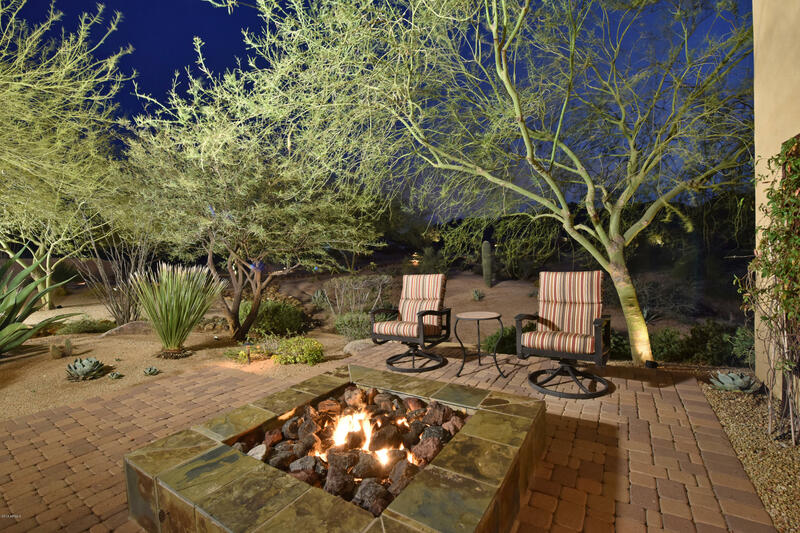 The grand entry has a front patio with an inviting fire pit and paver walkway leading to the large custom metal and glass door. 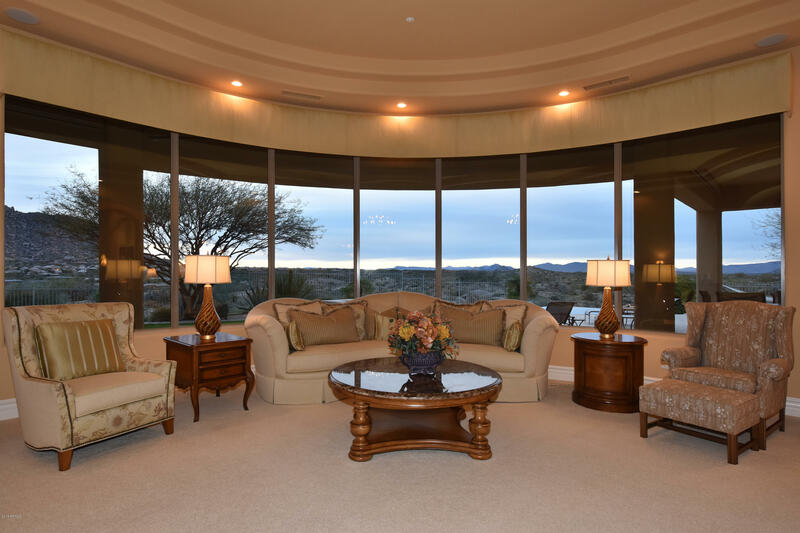 The interior features soaring ceilings, architectural details and large windows to celebrate the surrounding Sonoran desert vista. 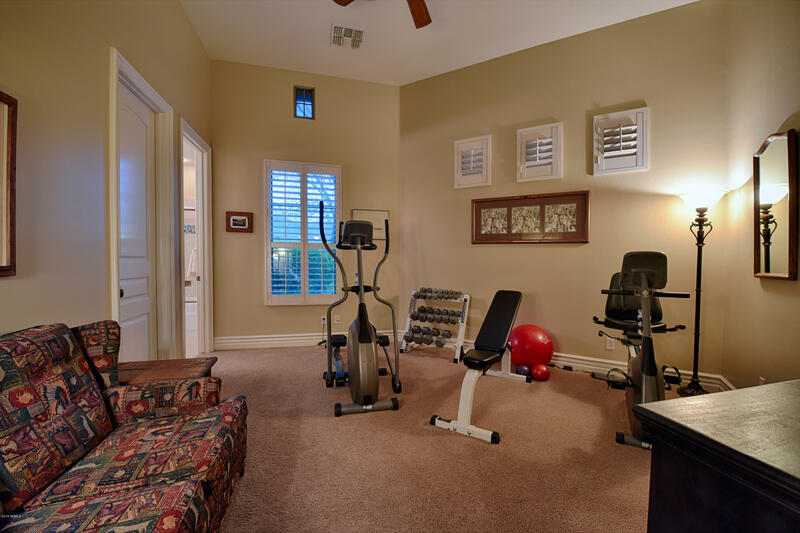 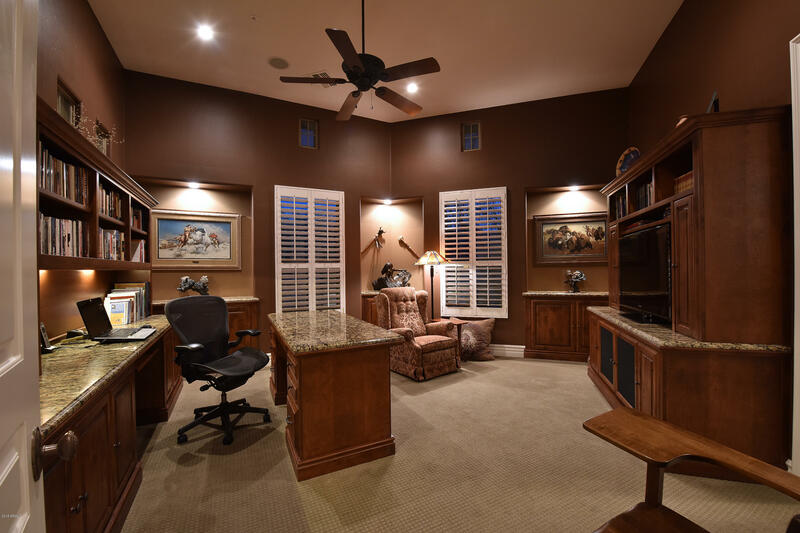 Spreading out over 5,000 square feet, this open floor plan with no interior steps is a true split with the master and office on one wing and the three ensuite bedrooms opposite, one of which could be used as an exercise room, den, or flex space. 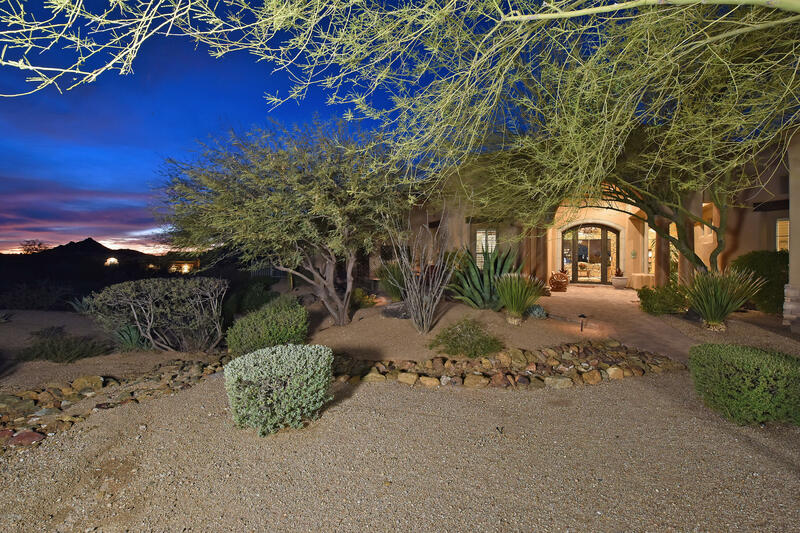 From Pima go East on Happy Valley Rd, Right on Alameda Road, Left on 120th Place thru gate, 120th Place turns into Chama Road, home is on the Left.